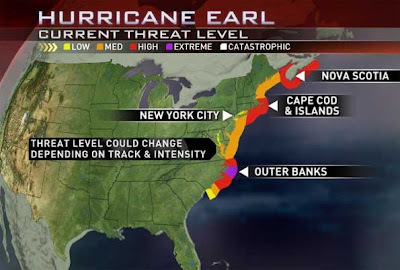 Earl is headed this way, and I for one am planning a hurricane party. But I did fill my gas tank, buy some extra water, and a few more non-perishable food items. There I go being a rule-follower again. We're about 90 miles west of the "purple zone." Things shouldn't be too crazy here-- probably just some strong winds and rain. However, as a precaution all of the jets at the base are being sent away to a safer location. "Leave the women and children behind, get those planes outta here!" I guess I am not the precious asset I once thought I was. Luckily for us, Josh has an upcoming briefing that conflicted with the "hurrevac" so he gets to stay home. Yea! But seriously Earl, you're ruining a lot of folks' Labor Day weekend plans, so if you could just take a right turn and skidaddle on back from whence you came, it would be appreciated. 2) I took a spin class this morning. It was extreme. You know you're getting a good workout when you contemplate whether or not you may lose your breakfast 30 minutes into the class. Yep. Nothing like a good workout. 3) In news of the finally, I got my hairs cut. 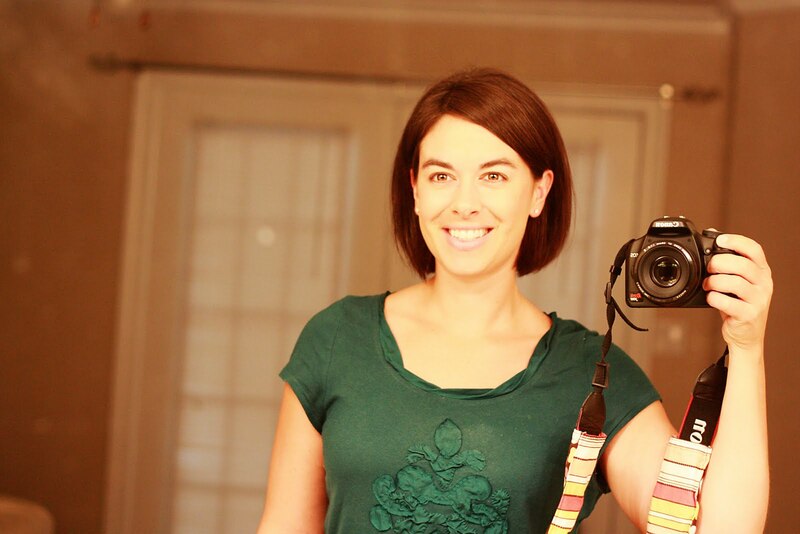 One of the things I like the least about moving frequently is trying to find a new hairdresser. This girl was okay, but she's no Chelsea if you know what I mean. And most of you don't. 4) Alex is loving school. I dragged out of bed this morning to get her up, and she was already coming to get me. Complete with princess slippers and fairy wings. Her energy knows no bounds. Here are pictures from days 2 and 3. Then I decided that it was getting to be a little much, and put the camera down. Step away from the camera, Erin. And the school is supposed to be getting a fifth kindergarten class soon, since all of the classes were over the state limit with the number of students. So that's good news that soon the classroom will be a little less crowded. We (Josh) spoke with the assistant principle in hopes of keeping Alex with her current teacher. She seemed receptive and hopefully that will pan out. I know that no parent wants their kid to be moved after getting settled, but Alex has had to deal with so much transition lately so we thought we would do our best to see that she gets stability whenever possible. 5 years old and 4 different homes is kind of a lot. Oh, and she still hasn't recovered from us bringing her home a sibling. I'm starting to doubt she ever will. One day in the future she will be on a therapist's couch relaying that everything in her life was just perfect, until Derek came along. caveat: If Earl interrupts my ability to watch college football this weekend, then he and I are going to have a little heart to heart. But really, I just hope that the storm doesn't cost anyone their lives and doesn't do too much damage. 6) That picture on the sidebar of me in a winter coat has been making me hot all summer. Soon I shall do something about it. Truly, I love your blog. Stay safe down there! I know what you mean about Chelsea. I have had a similar experience, but I'm even in the same salon as before. Boo. I like your hair. She did a good job. Glad Alex likes school. Mine are really liking it too and I am so relieved. I totally get the hurricane thing. Living on Florida's East Coast,I've lived through many a hurricane. Good luck. 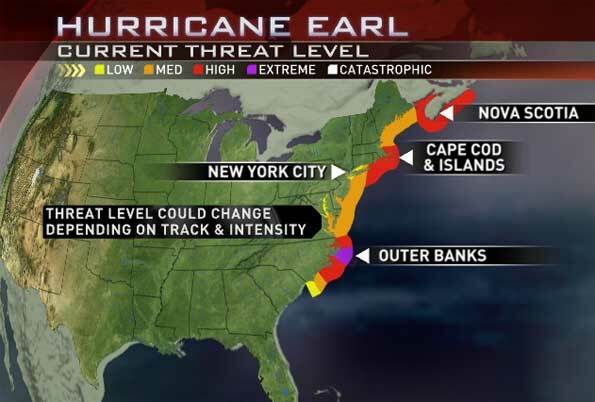 I'm praying y'all don't get it there and that Earl will turn to go back out into the ocean. Did I make it myself...ha! I wouldn't dream of attempting it. The strap cover was a gift from a friend. She got it from an Etsy shop. I'd be happy to ask which one and let you know. 5 kindergarten classes?! Wow ours only ever had two... one morning and one afternoon. You don't know me, but we have been praying for all of the people in Earl's path. We live in the Texas panhandle, but still are affected by your storms. My husband, an independent adjuster, has been on standby to work for USAA and/or The Hartford since Sunday. Praises were raised for the stand DOWN call he got this morning. Hopefully New England will not get much of a storm as well. We never even got any rain! The line about the planes...totally hilarious. I love your haircute! I meant haircut, but it came out like the above, which is true, so I left it. And the book seems like it is suitable for quite a young girl (age five for sure), but Michaela seems to be enjoying it, too. I would say, so far, it could be used for a 4-10 year old, unless you had a super sassy, way too big for her britches four year old. Just kidding. Ten year old. I like it, but we've only just begun. Aaaand sorry if you are singing that all the rest of the day.